See Also: Anime Only Attack! In Brief: Without having received any powerups whatsoever, Sailor Venus summoned this new attack to save several young children who were being attacked by a Cardian. While it has a massive range it can also be aimed at different angles being seen fired at 90 degrees a few times. Cultural: "Go outside before sunrise, around 5:30 a.m. is best, and look East. The brightest object in that direction is the planet Venus. It looks like a star going supernova. Above Venus lies Saturn, and below, near the horizon, is Jupiter. Every 10 minutes or so you'll see a meteor streak among these planets. The meteors are pieces of Halley's Comet. "Every year around this time Earth glides through a cloud of dusty debris from Halley's Comet," explains Bill Cooke of the NASA Marshall Space Flight Center. "Bits of dust, most no larger than grains of sand, disintegrate in Earth's atmosphere and become shooting stars." "It's not an intense shower," he says, "but it is a pretty one." Astronomers call it the "Orionid meteor shower," because the meteors appear to stream out of a point (called "the radiant") in the constellation Orion. The radiant is near Orion's left shoulder. But don't stare at that spot, advises Cooke. Meteors near the radiant seem short and stubby, a result of foreshortening. Instead, look toward any dark region of the sky about 90 degrees away. The vicinity of Venus or Jupiter is good. You'll see just as many Orionids there, but they will seem longer and more dramatic." 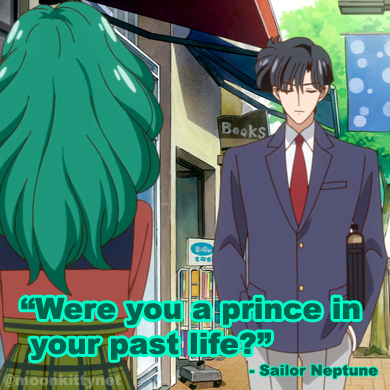 "Why didn't Sailor Mini Moon die in the Sailor Moon manga?" 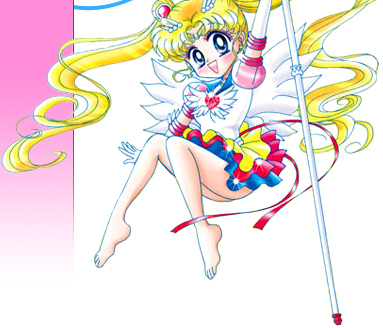 "Which Sailor Moon musical DVD should I start with?"